*36-month lease with $1,999 due at signing and approved credit through Volkswagen Credit. No security deposit required. Additional charges may apply at lease termination. Price is plus sales tax, $184.00 private tag agency fee and titling, any dealer installed accessories and dealer service fee of $899, which represents cost and profits to the selling dealer for items such as cleaning, inspecting, adjusting new vehicles and preparing documents related to the sale. See dealer for details. Expires 11/30/17. Almost there! Instant access to today’s lease offer is just a click away. 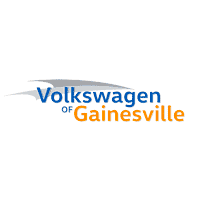 *Monthly payment is $17.48 per $1,000 financed with approved credit through Volkswagen Credit. Price is plus sales tax, $184.00 private tag agency fee and titling, any dealer installed accessories and dealer service fee of $899, which represents cost and profits to the selling dealer for items such as cleaning, inspecting, adjusting new vehicles and preparing documents related to the sale. See dealer for details. Expires 11/30/17.